For general enquiries please contact the Secretariat. For enquiries specifically related to your locality, please consult an appropriate regional contact person as below. For those living Down Under, additional information may be sought from our sub-group representatives. 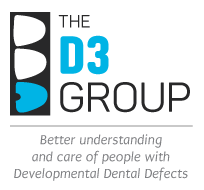 * Please note that the D3G secretariat generally does not provide clinical advice or commentary to the public. Guidance on where to go for such help is available here.